Every high school tutor at Grade Potential provides outstanding in-home tutoring for all high school subjects throughout the South Bay. 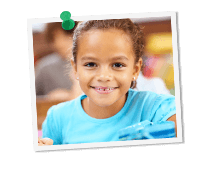 Whether a student’s objective is to improve a single grade or to master a specific subject, we do everything we can to assist your son or daughter in achieving goals. We know what it takes to succeed in high school—we’ve worked with course curriculum at high schools throughout the country. From Geometry to English, Algebra to Biology, high school coursework becomes more manageable when it’s tackled alongside our expert help. Let our tutors give your child the tools he or she needs through high school tutoring backed by years of academic experience! Nobody has to tell you convenience matters: That’s why our tutors come where you want when you want to help your child. With a high school private tutor from Grade Potential, your son or daughter gains one-on-one attention and academic guidance that can make all the difference in learning.